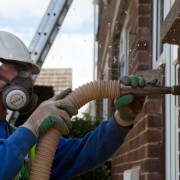 Cavity Wall Insulation Glasgow. ATC Construction recently completed a local authority funded scheme to improve energy standards in a housing estate where the properties were constructed in the 1950’s. If your property was built after 1920, the chances are that external walls are made of two layers with a gap or cavity between them. 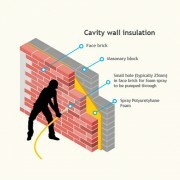 Cavity wall insulation fills that gap, keeping the warmth in to save energy. 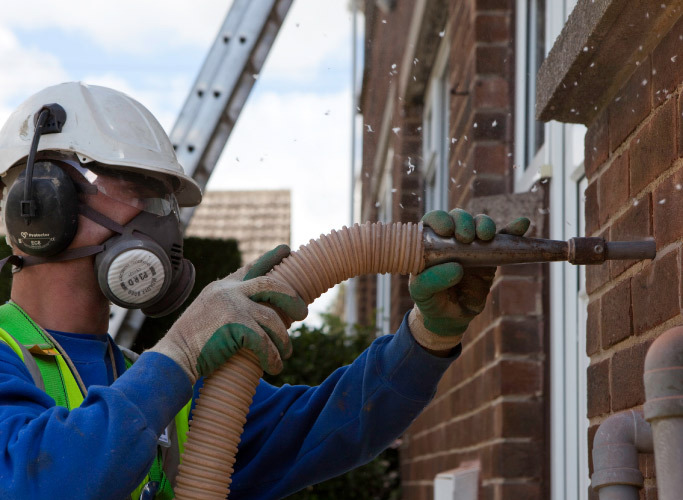 To insulate your cavity walls, our installer drills small holes around 22mm in size at intervals of around 1m in the outside wall of your property. With specially designed equipment, installers then blow insulation into the cavity. Once all the insulation is in, our installer fills the holes in the brickwork so you’ll barely notice them. 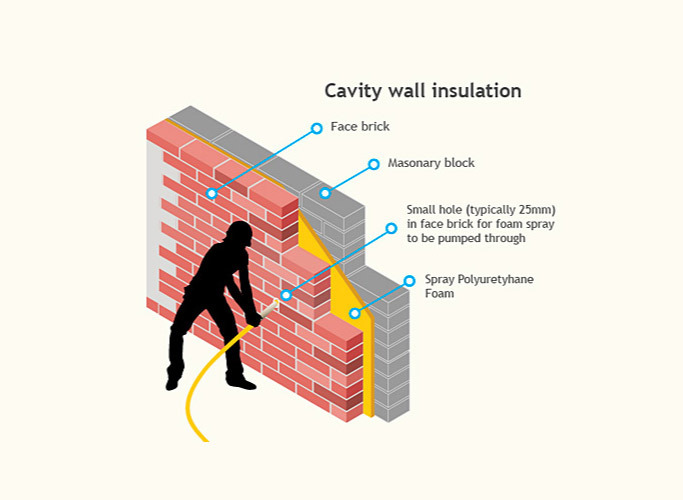 Cavity wall insulation can be made out of three types of materials: Mineral Wool, Beads or Granules & Foamed Insulates. For this housing project we used beads. Our professionals can complete the job in around two hours for an average house with easily accessible walls; it should be simple, quick – and make no mess. Read more about energy saving measures for your property.